WASHINGTON — Vice President Mike Pence said Thursday that he has spoken with jailed pastor Andrew Brunson and warned Turkish leaders that if they don't release the church leader the country will face "significant sanctions," a promise President Donald Trump has seconded. Pence, who first tweeted the ultimatum to Turkey president Recep Tayyip Erdoğan Thursday morning, doubled down on his threat when he gave a keynote speech at the State Department's first-ever three-day Ministerial to Advance Religious Freedom. Before foreign delegations from over 80 countries, Pence publicly reprimanded the NATO ally, who has held the North Carolina pastor since October 2017. Although many were happy to see that a Turkish court ordered Brunson to be removed from prison and placed under house arrest in Izmir on Wednesday, due to health concerns, Pence stressed that moving Brunson from prison to home detention is not enough. "Pastor Andrew Brunson is an innocent man. There is no credible evidence against him. Our entire administration has worked tirelessly to secure Pastor Brunson's release," Pence said. "Yesterday, Turkey released Pastor Brunson from prison only to place him under house arrest. This is a welcome first step but it is not good enough." Pence explained that he spoke with the 50-year-old Brunson and his wife, Norine, over the phone Wednesday. "I know that his faith will sustain him but it shouldn't have to," Pence added. "He deserves to be free." 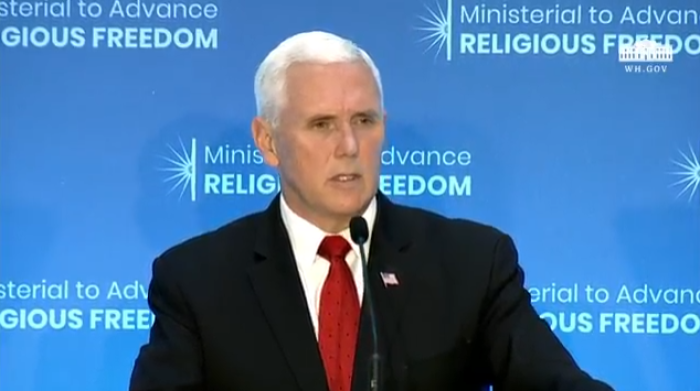 "To president Erdoğan and the Turkish government, on behalf of the president of the United States of America, release pastor Andrew Brunson now or be prepared to face the consequences,'" Pence asserted. "If Turkey does not take immediate action to free this innocent man of faith and send him home to America, the United States will impose significant sanctions on Turkey until Pastor Andrew Brunson is free." Following the speech, Trump took to his Twitter account to also promise sanctions on Turkey. "The United States will impose large sanctions on Turkey for their long time detainment of Pastor Andrew Brunson, a great Christian, family man and wonderful human being," Trump tweeted. "He is suffering greatly. This innocent man of faith should be released immediately!" 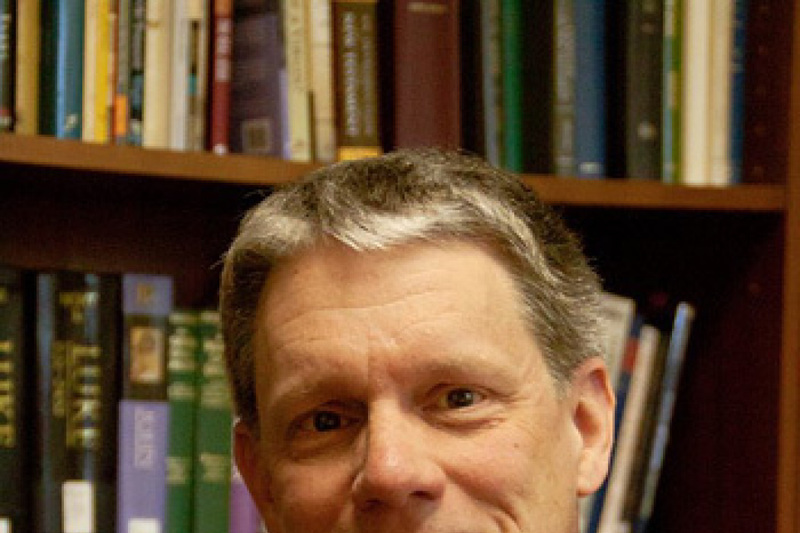 Brunson had served as a church leader in Izmir for over 23 years before the Turkish government arrested him in October 2016. After over a year in prison, he was finally slapped with a terrorism related charge and accused of having connections to Kurdish militants and an Islamic movement blamed for 2016 coup attempt against the Erdoğan government. As Brunson has repeatedly denied the charges, it is widely believed that he is being held for political leverage as the Turkish leader is seeking the extradition of a U.S.-based Islamic cleric that it accuses of helping lead the 2016 coup attempt. Brunson continued to be held despite having three court hearings in which there was no substantial evidence implicating him with the type of crime they say he committed. Brunson's daughter, Jacqueline Furnari, attended the State Department ministerial and spoke to the crowd on Tuesday. The administration's vow for sanctions come as members of Congress have pushed for such sanctions against Turkey and had pushed to stop Turkey's purchase of F-35 Jets. Republican Sen. Lindsey Graham of South Carolina and Democrat Sen. Jeanne Shaheen of New Hampshire recently met with Erdoğan to discuss Brunson's fate.